Welcome to H3 Maths » Blog Archive » What use is my high school math? In a recent article on the same question, Angus McDougall, 25, a Sydney structural engineer, says he “wasn’t amazing” at maths during high school, but decided to study a bachelor of civil engineering at the University of Technology, Sydney. McDougall said the formulas taught at high school aren’t indicative of success in his industry. “We use maths, but we apply it to everyday situations,” Mr McDougall said. “Basically you can get away with being a structural engineer without knowing some of the high school maths that they teach these days. It’s good as a foundation for what we do, but with regards to using that maths every day, I don’t think we’d really use it. Mr McDougall said there are mathematical formulas from his high school days which he still uses, but it was university mathematics which really helped him. 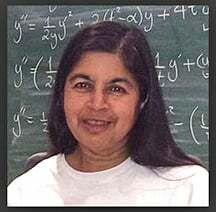 But Nalini Joshi, a professor of applied mathematics at the University of Sydney, said that studying mathematics was not just about learning formulas that you can apply over and over again. by James posted under Uncategorized | Comments Off on What use is my high school math?